The second season of A Series of Unfortunate Events is officially streaming on Netflix. And while it didn’t outright tell us who Allison Williams is playing, it did drop some *pretty* important clues. Last week, it was announced that the Girls alum had joined the cast of the Netflix series for Seasons 2 and 3, but Williams didn’t appear until the final minutes of the Season 2 finale. And yes, we’re about to talk about those final minutes as they relate to Williams, so WATCH OUT FOR SPOILERS. YOU’VE BEEN WARNED. Now, while fans of the show may not know what this means — book readers will have a pretty good idea who this mysterious woman is. 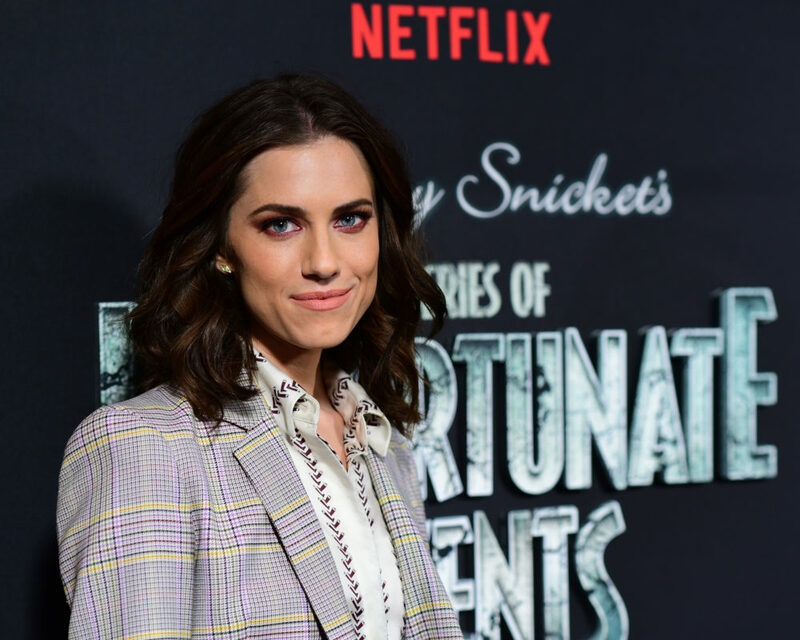 While, naturally, this hasn’t been confirmed by Netflix, the most popular theory is that Allison Williams is playing Kit Snicket. Kit is the sister of Lemony and Jacques (played by Nathan Fillion), who plays a pivotal role in the final books — which the third season of the Netflix series will be adapting. In the series, Kit is also a member of the V.F.D., the mysterious secret society her brothers and the Baudelaire parents were also a part of. In The Grim Grotto — the first of the final novels to be adapted for Season 3 — Kit comes across the Baudelaire siblings, subsequently becoming an important figure to the trio as they try to flee Count Olaf for good. While we don’t want to give away too much, it’s safe to say that Kit is a *pretty* big deal — and that all signs point to Williams playing the pivotal character. But with A Series of Unfortunate Events, things aren’t always quite what they seem, so this (very probable) theory could turn out to be wrong. Season 3 is currently filming, so we’ll hopefully learn whether Allison Williams is actually Kit Snicket within the next year.